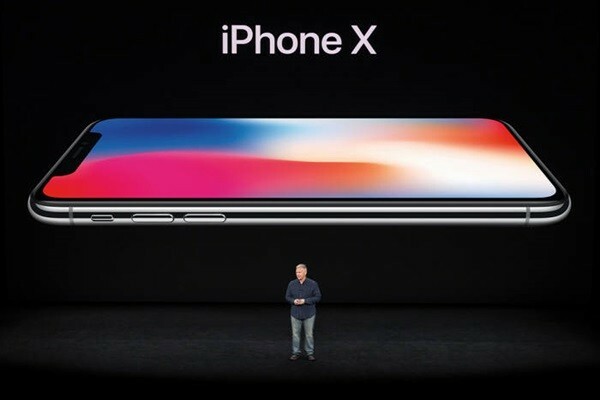 Apple is reducing amount of parts it is purchasing for iPhone X and it is confirmed that it is not planning to order any more parts during the second half of this year. Although this may seem that Apple is taking such measure with its new model in mind, it is unusual for it to adjust large number of inventories. All these actions are solidifying a rumor about possible discontinuation of iPhone X that was raised by some industries and people. It is worrisome that South Korean partners will take direct hits to their overall performance. According to industries on the 1st, it is understood that Samsung Display, which supplies its displays to Apple for iPhone X, informed its partners around the 19th of last month that it would be reducing number of parts related to iPhone X that it orders from them. Samsung Display corrected previous forecast and informed that amount of orders will be reduced by more than 50% compared to its initial plan. According to changed information, amount of orders reduced from 40 million units to 20 million units for the first quarter of 2018. Samsung Display is also predicting that amount of orders will continue to drop during the second quarter as well. "Amount of orders is being reduced by more than 50% every quarter and there are not any scheduled orders for the second half of this year as of now." said a representative for a component manufacturer. This indicates that amount of orders will continue to drop throughout the second quarter and that there are not any scheduled orders during the second half. Industries are assuming that Apple is actually planning to discontinue iPhone X based on this trend. Because Samsung Display is the only one that is supplying OLED panels to Apple, amount of orders from Samsung Display is directly related to production plan of iPhone X.
Samsung Display's partners are looking at the amount of decline in number of orders as a serious issue. Usually first quarter and second quarter are slow seasons. Also, there tends to be adjustemnts to inventories as Smartphone manufacturers are beginninng to prepare to release their new products during the second half. As a result, amount of orders tends to drop during the first and second quarters. However, majority believes that amount of recent decline surpassed the level of decline during usual years. "Because we lost number of orders more than usual, we believe that lack of sales of iPhone X besides usual slow quarters is also impacting number of orders we receive." said a representative for a different component manufacturer that supplies its products to Samsung Display. It is heard that some of Samsung Display's partners are currently supplying what is left on their inventories and that they were informed from Samsung Display that it will stop ordering additional products from them. iPhone X is the first Apple Smartphone to be applied with an OLED panel instead of a LCD panel. This OLED display contains parts and materials from South Korean companies. Apple is also using products such as 3D sensing modules, cameras, and semiconductors from South Korean companies. Because changes in production of iPhone X can impact South Korean companies directly and indirectly, it will be interesting to see how far this impact will reach. Although iPhone X is the only current iPhone model to be equipped with an OLED display, South Korean industries are interested on changes of strategies by Apple as Apple is looking to apply OLED displays to more of its new iPhones that will be released in the future. It is heard that Samsung Display is drastically strengthening its marketing on Chinese markets due to a recent change in number of orders from Apple. Its attempt is to fill the amount of orders it loses from Apple with amount of orders it receives from Chinese Smartphone manufacturers by supplying more of its OLED panels to them.